Includes G.I. Utility knife and camper's friend multitool. Knife is 3 5/8 closed. 440 stainless construction. 2 1/2 spear point blade, can opener, flathead screwdriver/bottle opener, leather punch, and bail. 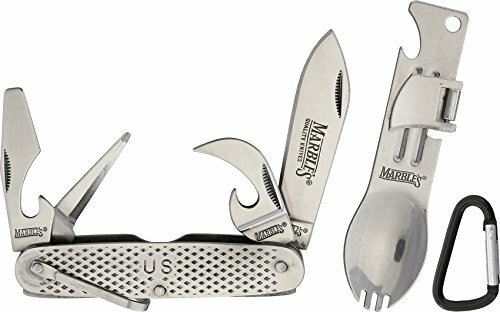 Multi-tool includes spork, Mini carabineer, bottle opener, and can opener. Hang packaged.